Whether it’s on your foot or you face, chances are good that you’ll experience a wart at some point in your life. They can be anywhere from large and raised, to small and flat, and are all caused by the same villain—HPV. When people seek treatment, they most often go for the usual methods of removal including surgical excision, cryotherapy, and topical creams or solutions. But what if you don’t want to go that route? The good news is that there’s a whole army of home remedies available to help get rid of that wart asap. Warts usually manifest as raised bumps, although they can sometimes be flat. Color varies and includes warts that are skin-colored, brown, red, and pink. Because a wart isn’t caused by bacteria or fungus, you can’t just kill it with standard medication like antibiotics. This makes the HPV viral particles more tricky to deal with and is the number one reason why warts come back. But make no mistake, they can be eliminated for good. Most warts occur among children and teens. Hand Warts: It’s easy to pick up a wart on the hand, considering we use them constantly to touch surfaces, people, and pets. One thing to watch for with hand warts is your fingernails — if warts get underneath them, they can permanently damage the nailbed. Something to try for hand warts is apple cider vinegar. This substance has strong antiviral properties and is a proven method of natural wart removal. Soak a cotton ball in apple cider vinegar and press it to your wart, then cover with a bandage or tape to secure. After a few days, the wart should begin to turn black, then fall off on its own over the course of another week or two. 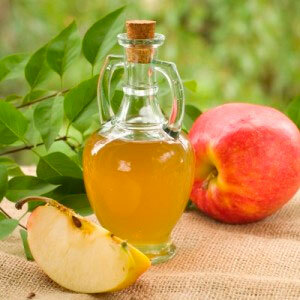 Read for more information on using apple cider vinegar, beetlejuice and castor oil for warts. Foot Warts: The most common type of wart on the foot is the plantar wart. These are the flat, skin colored, calloused warts on the bottom of your foot that can be hard to get rid of. Usually, you pick these up by walking barefoot on a dirty floor like a locker room, dirty shower, pool deck, or public restroom, although you can get them anywhere. You can also have the common wart show up on your feet, which will appear raised and on the top or side of your foot. Never try and cut a wart out of your skin as a home remedy. It’s hard for a regular person to see where exactly the wart tissue remains underneath the skin layers, and you may just end up causing more damage than harm. Infection is also much more likely when you try and cut a wart out yourself. 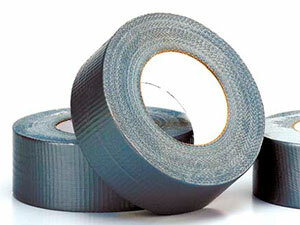 One method of home wart removal that has been shown effective time and time again is duct tape. Because of the airtight seal it creates, the tape cuts off the wart’s oxygen, suffocating it to death. To use this method on your feet, cut off a small piece of duct tape and press it onto your wart, ensuring there’s a good seal.Leave it on for three days uninterrupted, then take off to change into a new piece of tape, and repeat until the wart is falling off. Results usually take 2-3 weeks, depending on the wart size. Interested in essential oils for wart removal? Go here to learn more. Warts on your finger: When a wart pops up on your finger, it can be especially annoying. Not only do you use your fingers to touch everything, it can interfere with the dexterity of everything from writing to typing. The strains of HPV that cause them on your finger produce raised warts and will show up anywhere along the finger, including underneath the fingernail. 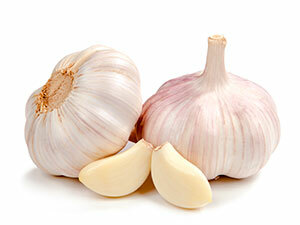 Fresh garlic juice can be applied onto the affected areaGarlic has been shown to be a good method for wart removal. This super-substance has antiviral properties that help kill the HPV causing the wart to appear in the first place. First, either cut a garlic clove in half or crush up pieces of it. Then, hold it directly to your finger, making sure juices from the garlic make contact with the wart. Tape into place and leave on for an hour or two,twice a day. Wondering about thuja occidentalis and vitamin A when it comes to wart treatment? Click to find out more. Going to the doctor can be a hassle for some people. Wart removal can take several visits and sometimes includes pain. Also, the cost of doctor’s fees, facility charges, and prescriptions can make it impossible to go that route. But something nature has done for us is provide a pharmacy growing right outside our door, no co-pays needed. Most natural wart treatment takes an average of two weeks. Milkweed is a plant used for years by Native Americans. 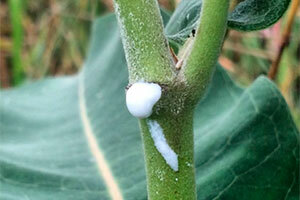 It contains a milky sap that is poisonous to eat, but safe for topical use. To use for your wart, cut off a section of the milkweed branch, squeeze out some of the sap directly onto the wart itself, then cover with a bandage. Do this twice a day until the wart is gone. Remember, be careful not to get any of the milkweed sap in your eyes or mouth! Basil isn’t just a tasty ingredient—it’s also a wart-fighter. This herb you find so often in recipes has virus-fighting compounds in it perfect for getting rid of the ugly growths you can find with HPV. 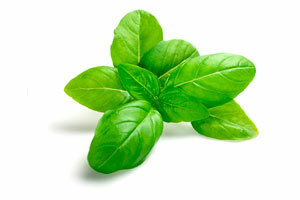 To use, crush up a fresh basil leaf and apply all over your wart, then cover with first aid tape or a bandage. Leave on for an hour or two, and repeat both morning and night. Using a nail file or pumice stone to slough away the top layers of a wart will help to kill it faster. Taking off small layers will not only decrease the wart’s size, it will help whatever substance you’re using for treatment absorb more quickly and efficiently. Soak the wart in warm water before you file it, to soften the skin and make the process easier. Besides apple cider vinegar and duct tape for warts, there are a few other home remedies that take the prize as best of the best. If you have warts but don’t want to go the traditional medicine route, there’s still hope. Explore the various ways you can beat warts through natural home remedies and in no time at all, clear skin is all you’ll have left. Do you want more tips on DIY wart removal? Click for ideas and articles, including thoughts on wart removal using super glue and dry ice.